This spacious sofa provides plenty of room for the whole family to gather together for holidays, birthdays, and big football games. 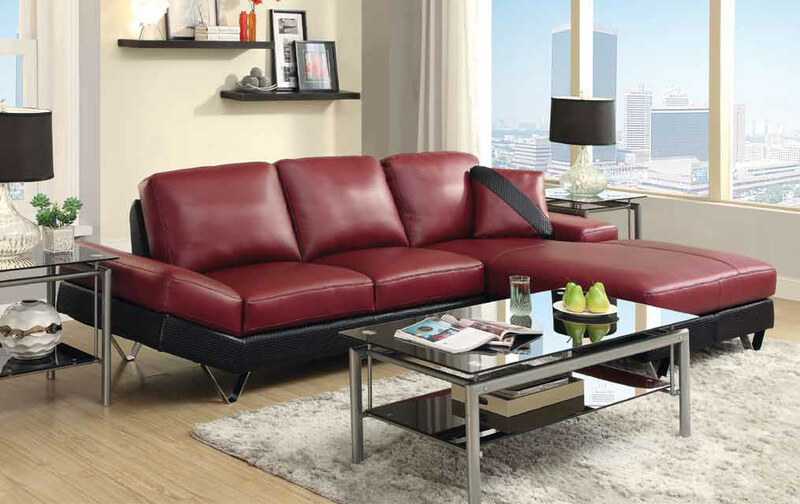 The sofa includes two seats and one large chaise lounge for sprawling out and relaxing. 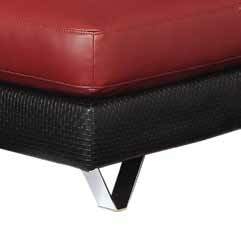 Sofa and accenting toss pillow outfitted in a hip, contemporary red bonded leather with accents of black, basket-woven material.